CD Numancia dropped three points at Los Pajaritos against an Albacete Balompié side who showed just why they are the best team in the division away from home. The Manchegos played a solid defensive game, with intensity throughout, and knew what to do at all times when they were in possession of the ball. The visitors had before them a Numancia side who were erratic in defence and barely menacing going forward, which allowed them to boss the game for much of its duration. Things also went Albacete’s way fairly early on, thanks to the penalty Marc Mateu gave them in the 20th minute. The Numantine player put his arm in the way of a headed attempt from a visiting forward and the referee had no hesitation in pointing to the spot. Rey Manaj took the spot-kick, converted it successfully and put Numancia on the ropes. They were uncomfortable on the ball, passes went astray and threatened Tomeu Nadal’s area very little even with the corners they forced. A significant stat from the encounter was that the Rojillos took as many as nine corners while their visitors did not manage even one. It was all to no avail, however, as the hosts were unable to finish off any moves successfully and Albacete did not have to do too much to fend off the onslaught from López Garai’s side. In a one-off move late in the first 45, a fine strike from Bela after a good individual piece of play doubled the visitors’ lead. It was a psychological blow for the home side who have become rather too used to having to chase the game in recent times. With all of the second half still to play, the Numantine manager brought on all the heavy artillery he had on the bench. On came Guillermo, Borja Viguera and Nacho to give the team greater penetration and, above all, firepower. It was not, though, to be the Sorianos’ day as they were unable to break down the solidly organised Albacete defence. In the dying minutes of the game, in the 90th to be precise, Malsa felled Guillermo in the area. The forward took the resulting penalty to pull a goal back, but it was practically the last kick of the game and there was no time left for any heroics. 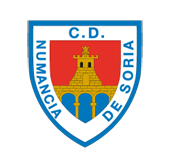 CD Numancia: Juan Carlos, Escassi, Higinio (Borja Viguera, m. 66), Yeboah (Guillermo, m. 60), Alain, Carlos Gutiérrez, Medina (Nacho, m. 60), Atienza, Marc Mateu, Fran Villalba, Diamanka. Albacete Balompié: T. Nadal, Nico Gorosito, Mathias, Jon Erice, Febas, Acuña (Susaeta, m. 56), Eugeni (Malsa, m. 70), Gentiletti, Rey Manaj (Ortuño, m. 81), A. Tejero, J. Bela. Referee: López Toca (Cantabrian Comittee). Assisted by Villabeirán Souto and Bárcena Rodríguez. Yellow cards for Escassi, Atienza, Marc Mateu, Fran Villalba and Diamanka (Numancia), and Eugeni, Malsa and Rey Manaj (Albacete). Goals: 0-1. Minute 20. Rey Manaj, (pen). 0-2. Minute 44. Bela. 1-2. Minuto 90. Guillermo, (pen).